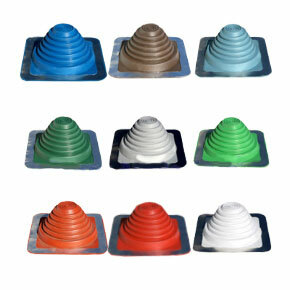 PRODUCT: #9 Master Flash SPECIAL COLOR EPDM Pipe Flashing Boots. 25" X 25" Square Base. Fits 9-1/2 - 20-1/2" (241mm To 520mm) Pipes. 8" Round Open Top. Price/each Boot (5 boots/box). 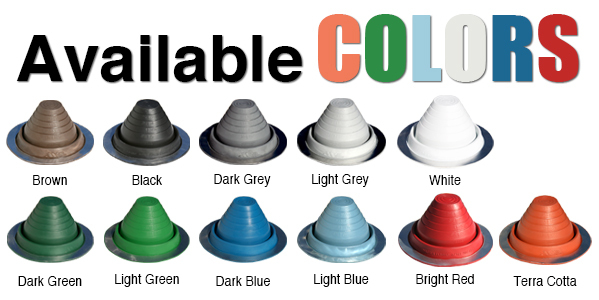 #9 Master Flash *gray* Color EPDM Pipe Flashing Boot. 25x25 Inch Square Base, 6 Inch High. Fits 9.5 - 20.5 Inch (241mm To 520mm) Pipes. Price/each.